Bringing a beloved pet along on a fun summer outing, vacation, or keeping an important veterinary appointment can present many challenges. For some, car rides are the BEST EVER(!). Trips like these can cause anxiety and stress, especially in cats. 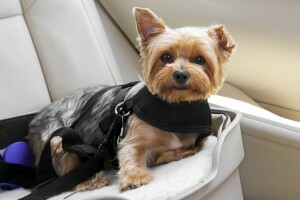 Since car travel is a part of most pets’ lives, addressing issues of intense fear, phobia, or anxiety can help lessen the stress both for pet and pet owner while traveling with a pet.